What is Root Chakra Healing? The Root Chakra – also called the base chakra, the first chakra or Muladhara – is located at the bottom of the spine. It is connected to the spine, kidneys, bladder, ovaries, prostate, and adrenal glands. The root chakra is associated with the color Red, the element Earth, and the sense of Smell. Root chakra healing is about open and balance the base chakra. The root chakra is the first chakra that needs to be balanced, before moving on to the others. You need to feel safe and secure, before you can grow and change, and that is why applying chakra healing to the Muladhara is so important. Stability and rootedness are necessary for personal growth and transformation. Healing your root chakra will help you feel safe, secure, and supported. Now, let’s find out how to balance your root chakra. What can Root Chakra Healing help you with? Healing the root chakra can help you find courage and resourcefulness during tough times. You see, the first chakra is your survival center, from where the fight and flight response is initiated. 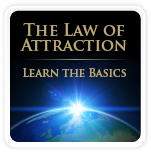 Your basic human needs – safety, nourishment, and financial security – are located here. It is the root of your being and your primal ”animal” nature. Healing your root chakra is a really good idea if you have mental and emotional problems. If you worry too much, are stressed out, feel depressed, or have a bad temper, first chakra healing can help, since mental and emotional health is dependent on the balance of your root chakra. Also, if you have a low self esteem, have trouble making friends, or feel lonely, you should really try out some root chakra healing techniques, because the base chakra is the foundation of how you identify yourself, relate to life, and how you stand up for yourself. It is associated with your sense of belonging, and your ability to bond and support. 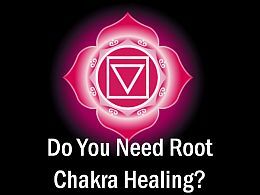 Do you need Root Chakra Healing? The need for first chakra healing is reflected on the mental, emotional and/or the physical level. There are signs indicating that base chakra healing could be of value. The “root chakra issues” mentioned below are all associated with the first chakra. If you feel insecure, don’t stand up for yourself, find it difficult to bond with people, have trouble supporting yourself financially, have disagreements with family members, or have a deep fear of being abandoned, you could benefit from root chakra healing. Fatigue and disorientation can also be sings of an unbalanced base chakra. According to energy medicine, the adrenals are connected to the first chakra, so if you suffer from any immune problems or chronic fatigue, base chakra healing often help. Lower back pain, hip pain, joint problems, arthritis, sexual problems, urinary problems, ovarian issues, or prostate conditions, are also manifestations on the physical level of root chakra issues. If you have diarrhea, headaches, poor blood circulation, varicose veins, swollen hands and legs, retain water, or experience problems with bones, skin, or hair, you may have an imbalance in the root chakra. If you suffer from any of these ailments, first chakra healing could be very beneficial for you. Do you have a Balanced, Deficient, or an Excess Root Chakra? Here are the general characteristics of a balanced, or unbalanced root chakra. A root chakra healing is really worth trying, if you are experiencing any of the symptoms mentioned above. Healing the root chakra doesn’t only cure the symptoms. It balances the energy and heals the root problem. First chakra healing is about balancing your own needs, to the needs of others. Healing the root chakra is about letting go of fear and insecurity, and welcome stability and safety, to allow your fullest potential to shine through. You can apply the following rootchakra healing techniques to heal your mind, body and spirit: root chakra healingaffirmations, crystals & stones for root chakra, essential oils, foods, yoga positions, guided meditation, and sound healing. Use one or more of these wonderful root chakra opening tools. If you don’t feel anything as you apply these techniques, that’s OK. Just bring your awareness to you your first chakra. Your intent, and your open and relaxed attitude, will generate the self-healing process. Trust your intuition and choose the tool/s that you feel guided to. Now, let’s find out how to activate root chakra! Choose a couple of root chakra healing affirmations and write them down on a paper. Put up the paper on the fridge, or some place else, where you can see these affirmations often. Say them out loud to yourself, or to yourself in your mind. As you do this, you reprogram your brain to start believing in these statements, and this will change your vibration and heal your first chakra. Below are some helpful affirmations for the first chakra. Now, let’s find out how to open your root chakra with “root chakra stones”. The first chakra is associated with the color red, and by surrounding yourself with this color, you stimulate and heal this chakra. Other colors that are associated with the first chakra are black, gray, and brown. Below are examples of useful root chakra stones. You can use these beautiful crystals for root chakra , as necklace, bracelet, ring, or earrings. You could also carry them stones in your pocket. 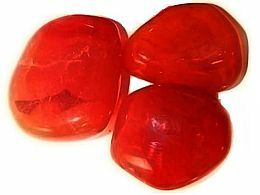 Root chakra stones can also be used during meditation, to heal your base chakra. Here are some wonderful yoga positions that you can use to balance your root chakra. Mountain pose is great for balancing your base chakra, as it will connect you with the earth, your own body, and the present moment. Pay attention to how the energy flows through your body as you open the root chakra. As you do this pose for a minute or two, you will feel more centered, focused and calm. Stand barefoot with your arms at your side and feel the ground. Your upper-body should be straight, yet relaxed. Become aware of your breath and take deep slow breaths. Inhale slowly into your belly, and exhale slowly. Continue breathing deeply, in and out. Spread your toes and lift them up, and then let them down. Imagine roots coming out from your feet spreading down to the earth, and feel the connection and stability. You are now standing strong as a mountain. Warrior Pose is a wonderful yoga pose to activate root chakra and to get you rooted. It will connect your body with the earth and balance your root chakra. Warrior Pose will open the root chakra and allow life energy to flow through your body. Make sure to visualize the color red flowing through your body to your first chakra to open and activate the root chakra. So, as you stand in warrior pose, take a deep breath and visualize the color red flowing through your body to your root chakra. As you exhale, step your left foot back and turn it 45 degree angle. Next time you exhale, bend your right knee over the right ankle. Bring your right thigh parallel with the floor, if you can. Raise your arms above your head with your palms together. Hold this pose and breath deeply for a minute. Bend your knees and put your feet together. Now, repeat on the other side. This root chakra pose will absorb the bio-energy from the earth. It’s best if you practice it outside so that your whole body can touch and connect with the earth. This yoga position is imitating the stillness of a corpse. Try to do this root chakra pose for 10 minutes. Lay down on the floor/earth and stretch your legs. Spread your legs apart a bit. Rest your arms by your side. Draw your shoulder-blades underneath you and slightly tilt your chin towards your chest and relax. Breath deeply and visualize the color red in your first chakra as it is spinning, moving, pulsing, expanding, and contracting. Feel the flow and stability of the energy in the base chakra. Sit in an upright position. Back straight, and feet flat on the floor, or in a lotus position. Make sure to align your spine comfortably. Breath deeply and let the healing energy flow into your base chakra, as you listen to the guided meditation. Just relax and enjoy the series of visualizations and sensory work. Enjoy! If you have a blocked root chakra, try sound healing. Solfeggio Frequencies a sound healing tool applied by many people for healing purposes. It can also be used to specifically clear root chakra. Solfeggio frequencies were used in ancient Gregorian Chants, to give spiritual blessings. Solfeggio frequencies were rediscovered in 1974 by Dr. Joseph Puleo and Dr. Leonard Horowitz. They noticed that certain frequencies could provide healing to our bodies. Solfeggio frequency at 396 Hz, is the frequency of root chakra healing. 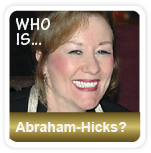 According to sound healing, you will liberate fear and guilt, while listening to this frequency. Use headphones while listening to this frequency. Enjoy! Now you know how to balance the root chakra. Use the root chakra healing techniques described above as often as you like, and choose the ones that you feel guided to. It’s important that you feel good while you apply root chakra healing. 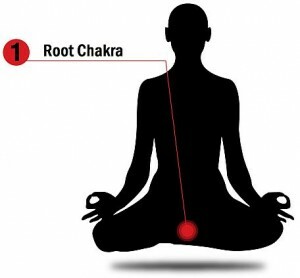 After a while, you may want to switch to other root chakra healing techniques. Make sure to always listen to your intuition, and when you get bored, simply choose other techniques that helps in balancing the root chakra. Keep it fresh and exciting. The healing process should never be “work”. Just relax and have fun with your root chakra healing session.